Stone Town is one of the oldest living Swahili towns in East Africa. It's unique winding, narrow streets are adorned with (some crumbling) beautiful buildings. 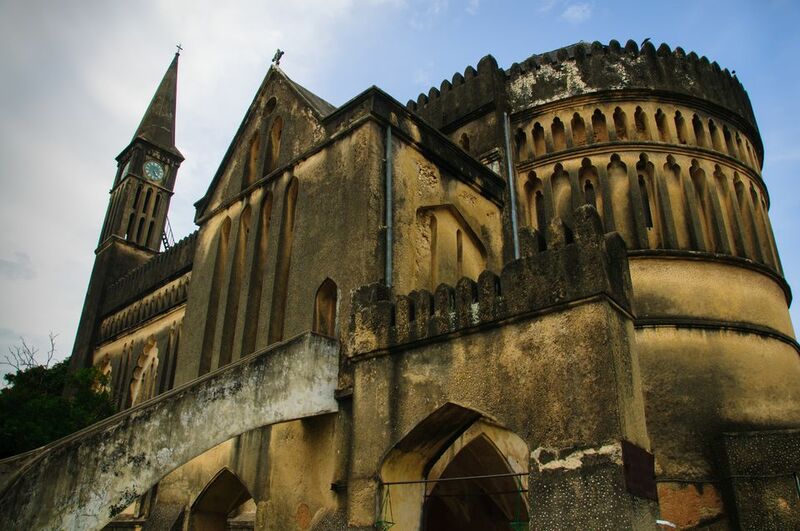 Established by Arab slave and spice traders in the early 19th century, Stone Town is the cultural heart of Zanzibar. It's a UNESCO World Heritage site which has enabled some of the beautiful houses to get a much-needed renovation. It's right on the Indian Ocean and faces Tanzania's mainland and commercial capital, Dar es Salaam. Stone Town gets its name from the ornate houses built with local stone by Arab traders and slavers during the 19th Century. It is estimated that around 600,000 slaves were sold through Zanzibar between 1830-1863. In 1863 a treaty was signed to abolish the slave trade, agreed to by the British and the Omani Sultans that ruled Zanzibar at this time. Stone Town was also an important base used by many European explorers including David Livingstone. The ornate trellises and balconies on some of the buildings reflect this later European influence. Beit-El-Ajaib or 'House of Wonders' - built in the 1870s for Sultan Barghash; it's grand, ornate and imposing. Plans are afoot to turn this into a National Museum. The Anglican Cathedral, built in 1873 by the British on the site of the old slave market. The Nasur NurMohamed Dispensary, built in 1887 by Thaira Thopen, Zanzibar’s richest man at the time. One of the first buildings to get renovated in Stone Town. The Market - hectic and fascinating bazaar, similar to those found in North Africa. Zanzibar Stone Town Tour - run by Utalii Safaris. Mashariki Palace Hotel -- Wonderfully refurbished historic home now a hotel with excellent service in the heart of Stone Town. Zanzibar Palace Hotel -- Luxury, boutique hotel with lots of style in the heart of Stone Town, has 9 unique rooms. Zanzibar Coffee House -- One of the oldest buildings in Zanzibar in the heart of Stone Town, beautifully renovated, the hotel offers 8 rooms at a mid-range price. Dhow Palace Hotel - A good mid-range hotel with 28 bright airy rooms, furnished with antiques. Zenji Hotel -- One of the best budget options in Stone Town, rates start at $35 for a single. There are 6 unique rooms. There are several daily high-speed ferries from the port of Dar es Salaam to Stone Town. The trip takes about an hour and a half and tickets can be bought on the spot from the ticket office (or touts) for US Dollars. You need your passport as authorities will ask to check it. ZanAir offers flights from around Tanzania to Zanzibar. Precision Air offers flights to and from the Serengeti area (northern Tanzania) to Zanzibar.